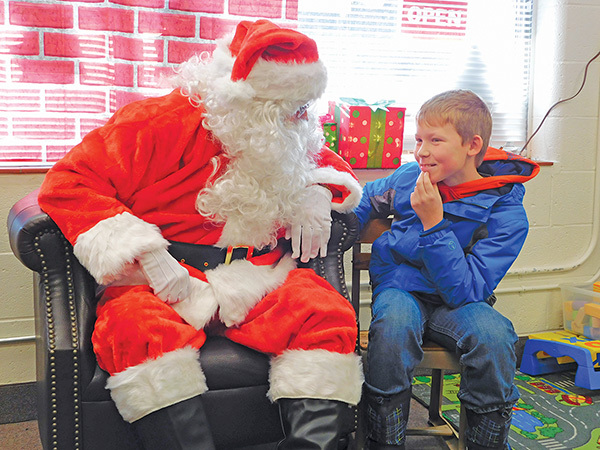 Tag Archive | "Zach Gerhardt"
Above: Ethan Gerhardt, 7, tells Santa what he wants for Christmas. Post photo by J. Reed. 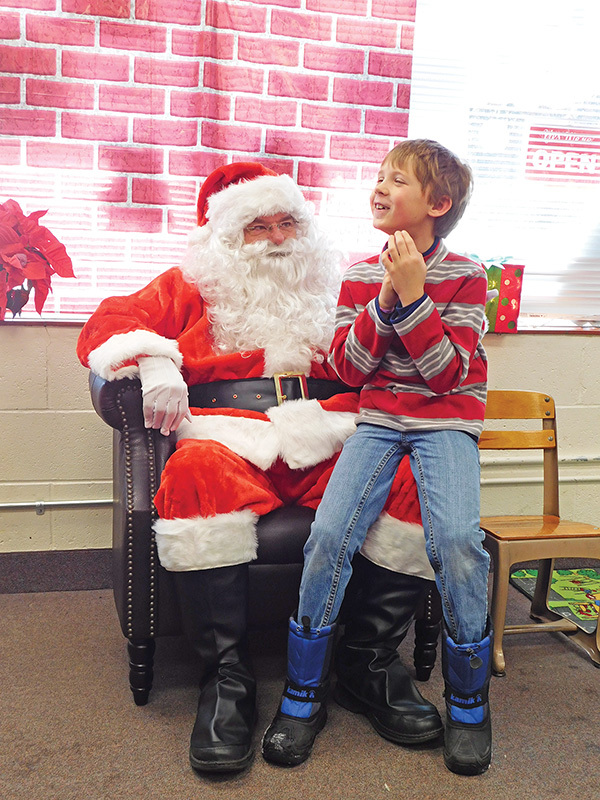 With only a few days left until Christmas Eve, Santa Claus made a special stop at the Cedar Springs Library on Tuesday, December 20, to hear what kids in Cedar Springs want for Christmas. 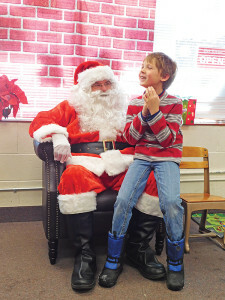 In the photos, Ethan Gerhardt, 7, and his brother, Zach, 10, tell him what they want for Christmas this year. Right: Zach Gerhardt, 10, thinks about what he wants from Santa. Photo by J. Reed. And don’t forget that you can track where Santa is on Christmas Eve by visiting www.noradsanta.org. Watch as he delivers toys around the world! You can also visit the North Pole and explore Santa’s Village on the website. Have fun!